H Fiat θέλοντας να γιορτάσει τα 150 χρόνια από την επανένωση της Ιταλίας, ανακοίνωσε μια ειδική έκδοση για το Punto Evo, την Fiat Punto 150°. Διαθέσιμη από τον Απρίλιο, η ειδική έκδοση διαθέτει νέα κυψελοειδή γρίλια, δίχρωμες ζάντες, νέο μπλε μεταλλικό χρώμα “Azzurro Italia” και ειδικά σηματάκια “Italia 150” στις μεσαίες κολώνες. Στον στάνταρ εξοπλισμό, διαθέτει air condition, radio CD με δυνατότητα αναπαραγωγής MP3 και προβολείς ομίχλης. Μηχανικά θα είναι διαθέσιμο με 4 κινητήρες, 2 βενζίνης (1200cc – 69 ίππων και 1400cc – 77 ίππων), έναν 1400αρη 70 ίππων που μπορεί να καταναλώσει είτε βενζίνη είτε υγραέριο LPG και έναν πετρελαίου (1300cc Multijet ΙΙ – 75 ίππων). Και οι τέσσερις κινητήρες διαθέτουν σύστημα Start/Stop και στην Ιταλία ο 1200αρης ξεκινά από τα €9.900. Δεν είναι ακόμη γνωστό αν το Punto 150° θα πωλείται μόνο στην Ιταλία ή σε όλη την Ευρώπη. Τους επόμενους μήνες η Fiat θα παρουσιάσει ειδικές εκδόσεις “Italia 150°” και για τα τα υπόλοιπα μοντέλα της. 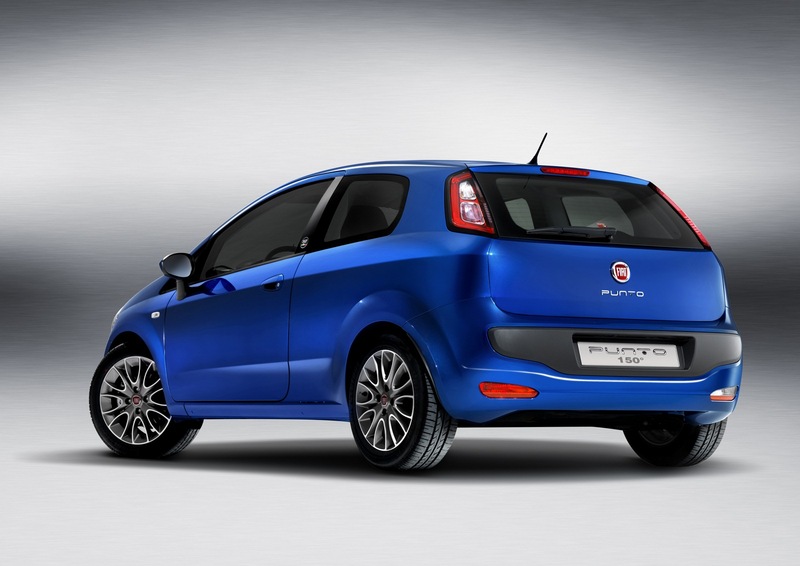 Arrives in April the 150th Fiat Punto, the new version created to celebrate the 150th anniversary of the unification of Italy and characterized by a strong personality and the perfect blend of style and technology. 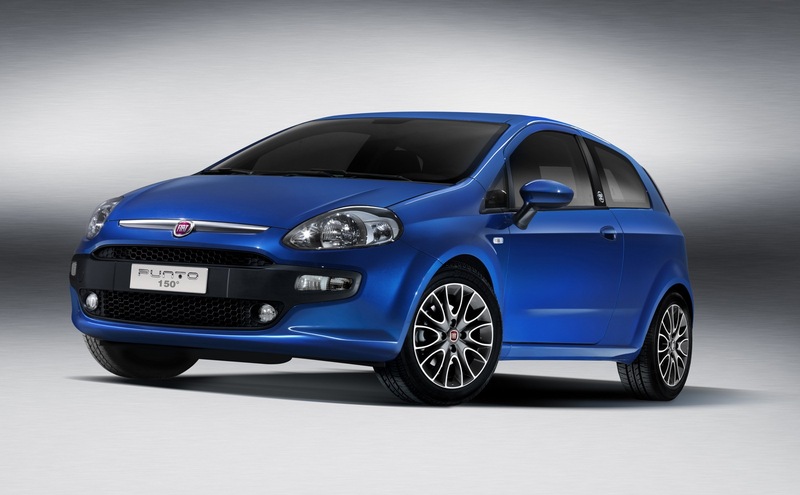 The honeycomb grille, alloy wheels, light-colored burnished aluminum and titanium, fog lamps and the color of launching “Blue Italy” metallic, give the car a dynamic and elegant style, the commemorative badge of “Italy 150” – round with black background and in the words “150” in white under a small tricolor flag – the upright position makes this version immediately recognizable. All made more interesting by the wealth of standard features (air conditioning, radio with CD/MP3 player, fog lamps and alloy wheels) and by the wide choice of engines, all Euro 5 and equipped with Start & Stop series: two petrol (1.2 by 69 bhp and 77 bhp 1.4) and a turbodiesel (1.3 Multijet 75 bhp II). Complete range from 70 hp to the 1.4 dual fuel (petrol / methane). 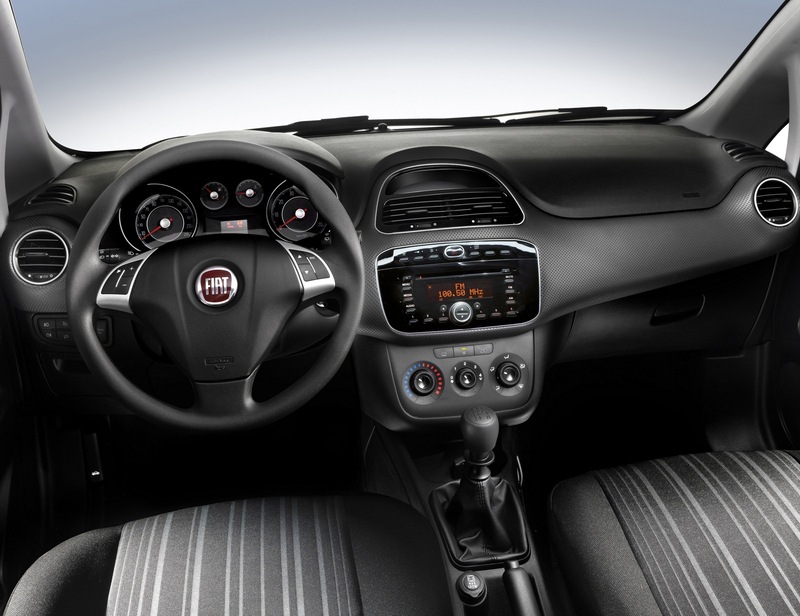 In line with the strategy of Fiat real price “and with the help of dealers, the 150 ° point equipped with the 1.2 69 bhp has a real price of 9,900 €. Fiat SpA has chosen to partner with the 150th anniversary of the country that will allow Turin, where Fiat was founded in 1899, and all Italy to present the best that can offer the world. Supporting these events can produce a lasting effect over time is a way to affirm the values ​​of responsibility and attention to the community upon which the business model of Fiat. One of the most striking aspects of the sponsorship will be the commemorative logo of “Italy 150” on the post applied for Fiat models to be produced between April and late June for the domestic market. 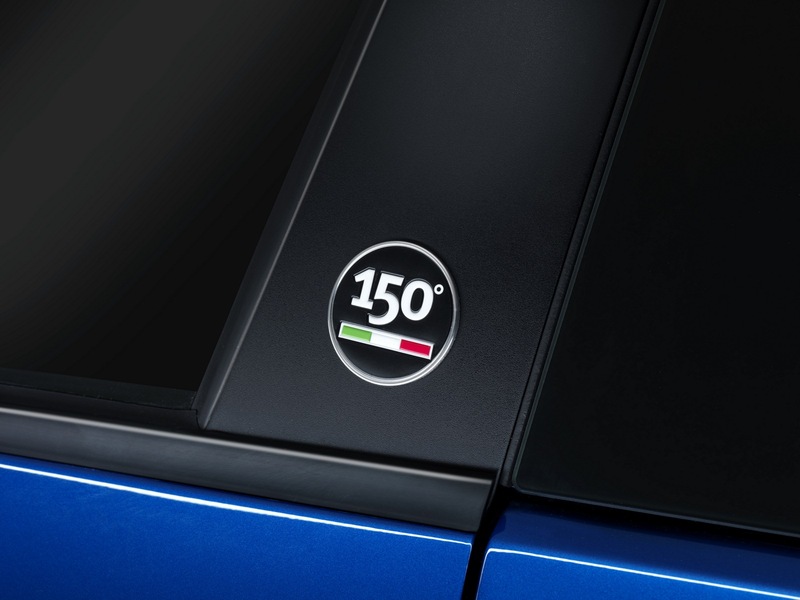 Along with the commemorative badge and the new point 150 °, the Fiat is planning several initiatives to this extraordinary event to begin the supply of 50 vehicles – 40 cars (including models 500, Punto and Lancia Delta) and 10 Fiat Ducato minibus – characterized by the graphical experience Italy, calendar of events that Turin and Piedmont have organized to celebrate the 150th. The ceremony of first batch of 10 cars Fiat took place a few days ago at the Mirafiori Motor Village, the multipurpose center of Fiat Group Automobiles built inside the historic Mirafiori. In addition to the supply of cars and vehicles, Fiat will present at the celebrations with all Italian and foreign dealers who distribute materials made by Committee Italy 150. Moreover, Italy will experience the logo applied over the entire print communication marks Fiat SpA and on the websites of the latter there will be banners that invite participation in initiatives related to experience Italy. The 150 anniversary of the unification of Italy in inextricably interwoven with more than a century of history of Fiat to get to know this legend industrial February was open to the public for the first time, the Centro Storico Fiat, which will be visit until the next November 27. An exciting journey able to tell the story of Fiat in Italy and mobility ideally culminating in the Great Repair Shops (OGR) in Turin until the Seventies, where trains are repaired and this year is intended to accommodate a large center for the contemporary culture. Here, at some shows planned for the 150th anniversary will be on display engine 85 hp Twin Air concept car and the Fiat million, two products that embody the continuous dialogue and synergy between past, present and future based on the issues differentiation, such as innovation and environmental, that have always characterized the history of the brand. Finally, in April and will also be the Alfa Romeo 4C Concept supercar compact that is the essence of sportsmanship under the brand values: performance, Italian style and technical excellence aimed at maximum driving satisfaction in complete security. The Twin Turbo engine from 85 hp – first of a new family of twin-cylinder engines by Fiat Powertrain, with performance ranging between 65 and 105 hp – boasts the highest level of CO2 emissions in the world for petrol engines: 92 g / km with change Robotic Dualogic and 95 g / km with a manual gearbox. Installed on the 500 and is intended to find wide application on future Fiat range, the engine TwinAir represents the most recent expression of highly innovative technologies, such as the Multijet and the Multi developed by Fiat Group Automobiles and ability to combine low environmental impact and emotion of Driving: a record that Fiat has chosen to collect under the name “Air Technologies, a brand that unites all the innovations motor, engineering and conceptual feature of the car that will accompany the production and communication of the entire range in 2011. Made from the Brazilian subsidiary of Fiat Group Automobiles and submitted to the International Exhibition of St. Paul at the end of 2010, the Fiat million electric concept car is a long 2.5 meters wide and 1.56 which has been designed with the help of suggestions received from the navigation Distinguished by the Web decidedly futuristic lines and the use of environmentally friendly materials, the prototype offers a number of accessories related to entertainment on board, such as head-up display, touch screens, satellite navigation and MP3 player among others.